Cyberbullying is when someone uses technology to send mean, threatening, or embarrassing messages to or about another person. It might be in a text, e-mail, direct message, or in a post online. 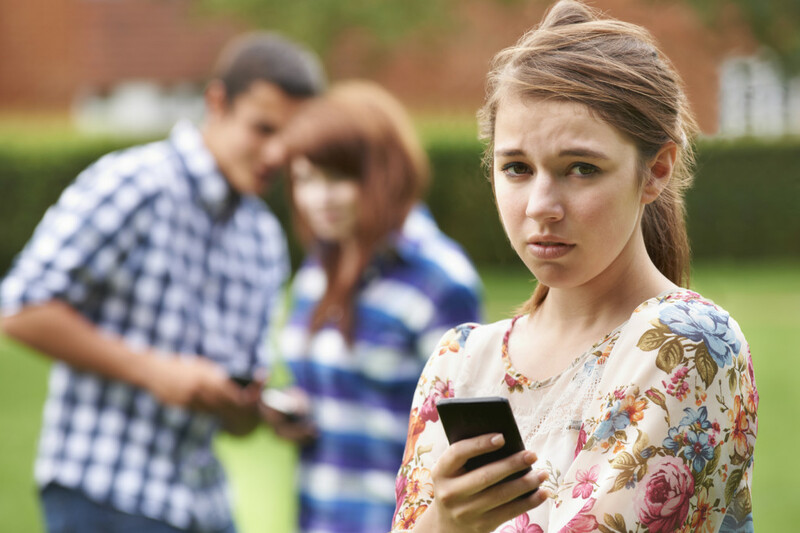 Cyberbullying can be anonymous, which can sometimes make it even worse. It also has a wider audience and can spread quickly. Finally, targets of cyberbullying often feel like they can’t escape the bullying. If someone is bullying you at school, it’s over when you leave for the day. But cyberbullying can follow you home and continue all night. Imagine a classmate posts a photo of themselves online. Someone else makes a mean, mocking comment about the photo. Soon, that photo has been shared, liked, reposted—even made into a meme. Thousands of people have seen it, even people the person being targeted doesn’t know. That’s why cyberbullying can be extra hurtful: it’s public, it spreads quickly, and it’s 24/7. Show support for the individual(s) being bullied. Choose not to join in on the bullying. You may feel pressure to join in if a lot of other people are. You can make your own choice not to contribute to the situation. Don’t “like” or share posts that are bullying someone. When you see negative behavior happening online, don’t contribute to it. Respond with positive support. If you feel comfortable, and if it’s safe for you, publicly show your solidarity with the person being targeted by the bullying. Even one nice comment among a bunch of mean ones can make a world of difference. Reach out to the person being bullied. Send them a private message letting them know that you don’t agree with what’s happening, they don’t deserve to be treated like that, and they’re not along. Encourage them to report the bullying, or to tell an adult. Let an adult know what’s happening. Tell your teacher, a social worker, or another trusted adult at school. If outside of school, find an adult you trust and ask for their advice. In this video, are tips on how to address and prevent cyberbullying, and what to do if you see it happening online.